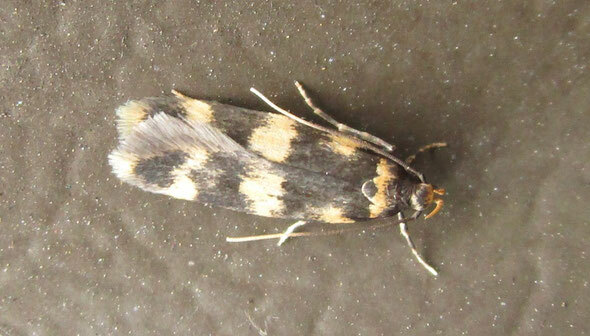 This attractively-marked micromoth is oen of three very similar and somewhat variable species, plus a fourth which is a rare accidental import, so my book advised against identifying it for definite unless I felt like getting the dissecting tools out – and I don’t have any. 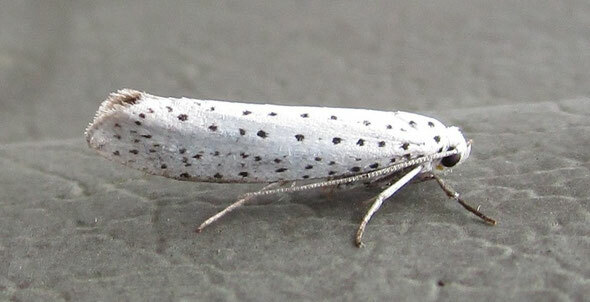 All I can say for sure then, is that this one is of the genus Oegoconia. 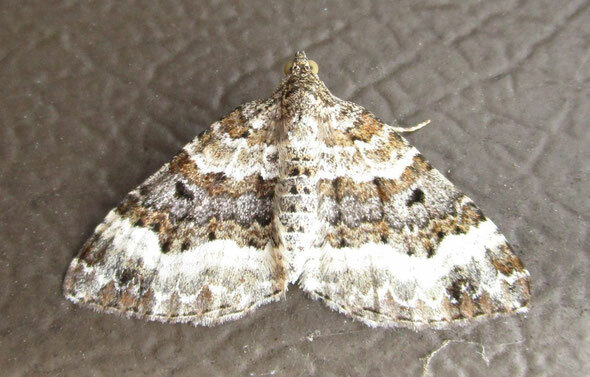 The bottom one is the very nice least carpet, which we have already seen on these pages this year. Much smaller than the common carpet on the previous page, the least holds its wings at rest much more like a wave moth than the generally triangular-shaped carpets. The attractively-speckled micromoth below is a different thing again; roughly the same size and shape as the above crambid, this is the bird-cherry ermine Yponomeuta evonymella. 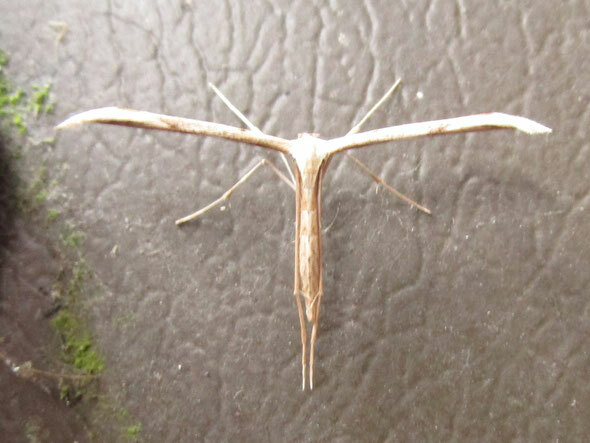 The common plume moth below that is present all year round on the warehouse walls. 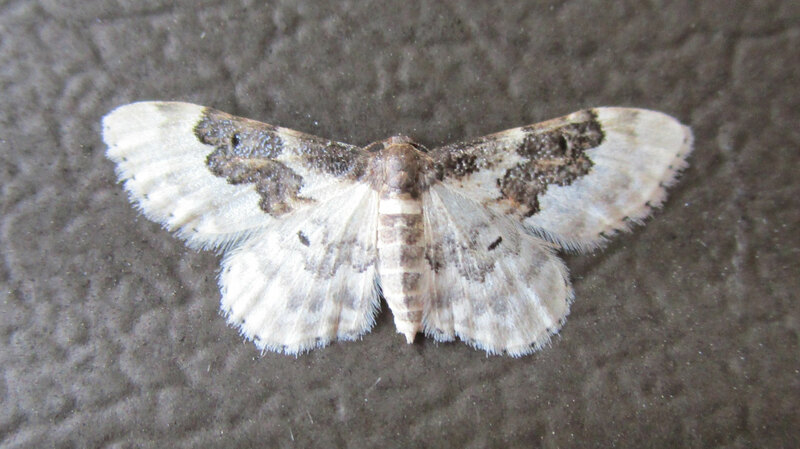 Even that wasn't then end of it - there was a brown-tail moth 12 feet up the wall that I couldn't get to, sadly. 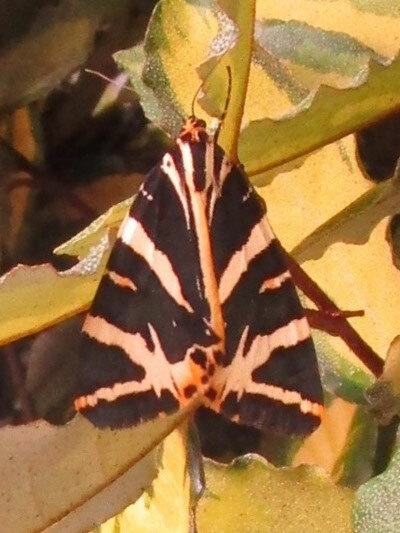 My final moth for the day is this spectacular Jersey tiger (below left) I found on my way home. 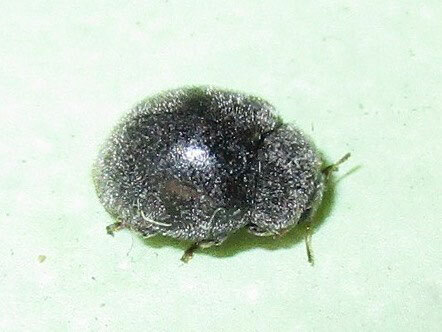 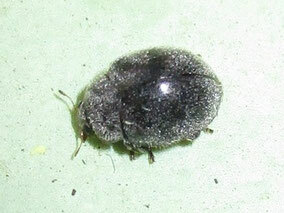 Below right is a little beetle, which I’m sure is a ladybird of some kind, and which was loose in the conservatory. Thanks for this great record, which is of Rhyzobius forestieri. This is a very interesting record as this is a new species with few British records. It is starting to crop up in various locations. I double-checked the ID with Richard Comont and he agrees. As far as I can see this isn't logged, so please would you log this via iRecord? 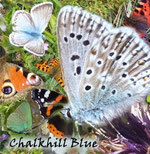 I duly recorded the sighting on their website and racked up my 7th species of the year!